Airport pick-up and hotel transfer. 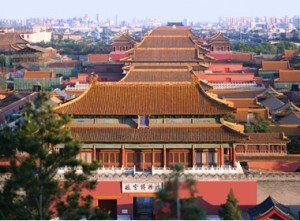 Today’s tour includes Tiananmen Square, the reputed Forbidden City palace nearby, the Temple of Heaven, the Tea House and a fantastic Chinese Acrobatics Night Show. Lunch at Green Flower Porcelain Restaurant, Dinner at Jinsong Quanjude Roasted Duck Restaurant. Visit the Changling Tomb of Ming Tombs, to discover the history of Ming Dynasty emperors; then transfer to the spectacular Badaling Great Wall. On the way back, pay an exterior visit to the Bird’s Nest and Water Cube in Olympic Green. Lunch at Jindian Restaurant. Morning tour starts in the glorious Lama Temple; then move on to the Hutong area, the old face of Beijing, pay a visit to local Hutong family and have the home cooking lunch together. After lunch, visit the delicate Silk Factory and the beautiful Summer Palace. Drive to the suburb area to visit the Tanzhe Temple and Baiyun Temple, older than Beijing city. After a lunch at a local restaurant, transfer to the imperial Xiangshan Park (Fragrance Park) and get fully relaxed. Our guide and driver will transfer you safely to the airport for departure. Wish you a pleasant journey home!